In this section you will find information, news and tips for those who want to deepen their knowledge of the materials that we treat as a company and we wanted to be grouped under the term "Lithos", that is stones. The word derives from the ancient greek word for marble: mármaron, which means "shining stone". Marbles are in fact mosaic of crystals of calcite or dolomite (mineral) formed by the transformation (metamorphosis) of sedimentary rocks through the combined work of pressure and temperature. Marbles are then limestone formations, the color of which depends on the presence of mineral impurities (eg. Clay, iron oxides) within the original sedimentary rock . And these impurities are what gives rise to the colors and the typical veining of the marble. The white marbles are the result of the metamorphosis of free from impurities limestone and that is the reason why their value and cost are high. Granites are intrusive rocks from magma slowly and deeply solidified: this process explains not only the typical granular structure (hence the term granite), but also the peculiar characteristics of this material that make it unique for hardness and resistance. For this reason granites are very suitable for all that should last. Synthetic materials are compositions of marble (agglomerates) or quartz. They are artificially assembled high pressure, mixing them with cement or synthetic resins and dyes. The result of this process allows not only to create textures that faithfully reproduce those of natural materials, but also variants and colors with many different possibilities. The chemico-physical and structural properties of different materials will direct the choice of use, with the aim of exploiting their qualities. To make use of elements such as stone, marble or granite in a building not only means giving a value addition to what we are building, but, above all, it means inserting materials that are made to last. For this reason STAIRS, FLOORS and exterior COATINGS made of granite or quartzite are the most suitable, due to their high resistance to weathering. The choice of external SILLS should conform to the style of the building and its painting: bush-hammered, shaped or antiqued marble or stone offer a classic style, while linear or square machining give a modern and essential touch to all constructive. For our home we choose cozy and elegant materials that give quality to floors and furniture. Marble and stone, with their shiny surfaces, give a sense of solidity and beauty, but, above all, in addition to their undisputed aesthetic appeal, they are very resistant to shocks and scratches. For this reason they are often used in kitchen and bathroom FLOORS, COATINGS and internal STAIRS. Their performances are always high, they resist everything and require only periodic maintenance of waterproofing. Furthermore, by choosing the right combinations (such as, for example, the use of the same type of material for the kitchen floor and cladding for internal shelves or windowsills) you can create a thread furnishing the room and give it, in addition, a pleasant impact. Synthetic materials combine the qualities of the stones with the innovation of the colors and the resistance of quartz; they are used in internal TOPS, particularly in those with modern and minimalist lines, but also for simple decorative elements (eg. colorful decor in greek style). It remains to be remembered that polished and waterproofed granite remains the material of choice in the creation of work surfaces and coatings that are not afraid of aggression of any kind. One last note goes to the compatibility of these materials with FLOOR HEATING: granite, marble or natural stone, in fact, do not have any contraindications in this sense, on the contrary they are the materials that best fit thanks to their heat transfer and the very pleasant sensory effect that results. Even in making funeral works we can use any natural material, since they are resistant to time and weather. Even in this case, the granite in particular appears the preferred choice, but with a little care and attention even the whiter of marbles can be used in this context. Contrarily to what you may think, marble and granite are not inert, but they continue to change: for example, the action of time alters their appearance and shine. To keep alive the initial beauty, just follow the simple steps given below. Both for marble and granite, polishing itself protects the surface and therefore prevents the absorption of substances; instead machining such as the one with abrasive disc, tend to favor the accumulation of dirt. Oil and water repellent treatments are very efficient and should be repeated over time, especially for marble, which is a porous material. For cleaning, simply use water,in which you can dilute, if necessary, a small amount of mild detergent. The main ADVICE, good for any type of material, as well as for wood, is to not to leave for a long time items soiled with oily substances, acidic or dyes (oil, lemon juice, vinegar, coffee, cola ...) directly in contact with surfaces: TIMING in cleaning prevents any kind of inconvenience. Synthetic products have good resistance to substances which can stain; in those with glossy finishing absorption is almost non-existent, however it is always recommended to immediately clean the stains of basic agents or acids and to avoid placing on these materials hot objects that may cause a thermal shock. The 50% tax deduction has been confirmed until 31.12.2015: it does not give limitations of commodity type, but includes all types of furniture including those custom made and purchased in order to furnish the property subject to building renovation. To obtain the tax benefits just provide documentation on costs incurred, such as invoices and bank transfers, as part of the tax return for the reference year. Documentation of payment must include the specific causal, the VAT number or tax identification number of the recipient and the tax code of the payer. In order to receive the furniture bonus, the payment must be done by bank or post transfer, credit or debit card (ATM). Payments by cash or bank checks are not refunded. Payment receipts must contain the reason for payment, the tax code of the person who will receive the deduction and the tax code or VAT number of the beneficiary's bank. If in possession of building file, you can take advantage of a 50% tax deduction. In the event that the sills are combined with a thermal insulation coating with a thickness greater than 12 cm, the sills may even fall in the 65% tax deduction. In questa sezione troverete informazioni, notizie e suggerimenti per chi desidera approfondire la propria conoscenza dei materiali che trattiamo come azienda e che abbiamo voluto raggruppare sotto il nome "Lithos", cioè pietre. Il termine deriva dall'antico termine greco per marmo: màrmaron, che significa "pietra splendente". I marmi sono in effetti mosaici di cristalli di calcite o dolomite (minerale) formati dalla trasformazione (metamorfosi) di rocce sedimentarie per opera combinata di pressione e temperatura. I marmi sono quindi formazioni calcaree, il cui colore dipende dalla presenza di impurità minerali (per es. argilla, ossidi di ferro) all'interno della roccia sedimentaria originaria. E sono queste impurità che danno origine ai colori ed alle tipiche venature del marmo. I marmi bianchi sono il risultato della metamorfosi di calcari privi di impurità ed è questa la ragione per cui il loro costo e valore sono elevati. I graniti sono rocce intrusive derivanti da magma solidificato lentamente ed in profondità: questo processo spiega non solo la tipica struttura granulare (da cui il termine granito), ma anche le caratteristiche peculiari di questo materiale, che lo rendono unico per durezza e resistenza. Per questa ragione i graniti sono molto adatti per tutto ciò che deve durare. I materiali sintetici sono composizioni di marmo o quarzo (agglomerati). Sono assemblati artificialmente ad alta pressione, mescolandoli con cemento o resine sintetiche e coloranti. il risultato di questo processo permette non solo di creare textures che riproducono fedelmente quelle dei materiali naturali, ma anche varianti e colori con grandi possibilità differenti. Le proprietà chimico-fisiche e strutturali dei differenti materiali guideranno nella scelta dell'utilizzo, con l'obiettivo di esaltare le loro qualità. Utilizzare elementi come pietra, marmo o granito in un edificio non significa solo aggiungere valore a ciò che stiamo costruendo, ma significa soprattutto inserire materiali che sono fatti per durare. Per questo motivo, SCALE, PAVIMENTI e RIVESTIMENTI esterni realizzati in granito o quarzite sono i più adatti, a causa della loro elevata resistenza agli agenti atmosferici. La scelta di DAVANZALI esterni dovrebbe conformarsi allo stile dell'edificio ed alla sua tinteggiatura: marmo o pietra bocciardati, sagomati o anticati offrono uno stile classico, mentre lavorazioni lineari o squadrate regalano un tocco moderno ed essenziale ad ogni costruzione. Per la nostra casa scegliamo materiali accoglienti ed eleganti che conferiscono qualità a pavimenti ed arredamenti. Marmo e pietra, con le loro superfici lucide, danno un senso di solidità e bellezza, ma soprattutto, in aggiunta al loro indiscusso fascino estetico, sono molto resistenti ad urti e graffi. Per questo motivo essi sono sovente utilizzati per PAVIMENTI E RIVESTIMENTI di cucina e bagno e per SCALE interne. Le loro performance sono sempre elevate, resistono a tutto e richiedono solamente una periodica manutenzione dell'impermeabilizzazione. Inoltre, scegliendo la giusta combinazione ( come per esempio, l'uso dello stesso tipo di materiale per il pavimento della cucina ed per il rivestimento di mensole e davanzali interni) è possibile creare un filo conduttore che arreda la stanza e che le dà, oltre a ciò, un impatto estetico piacevole. I materiali sintetici combinano le qualità delle pietre con l'innovazione dei colori e la resistenza del quarzo; essi vengono utilizzati per TOP interni, in particolare per quelli con linee minimaliste e moderne, ma anche per semplici elementi decorativi (per esempio per greche colorate). Rimane da ricordare che il granito lucidato ed impermeabilizzato rimane il materiale di elezione nella creazione di piani di lavoro e rivestimenti che non temono aggressioni di alcun tipo. Un'ultima nota va riservata alla compatibilità di questi materiali con il RISCALDAMENTO A PAVIMENTO: granito, marmo o pietra naturale, infatti, non hanno alcuna controindicazione in questo senso, al contrario essi sono i materiali che meglio vi si adattano, grazie alla loro capacità di trasmettere il calore ed all'effetto sensoriale molto piacevole che ne risulta. Anche nel realizzare opere funerarie possiamo utilizzare qualsiasi materiale naturale, poiché essi sono resistenti al tempo ed alle intemperie. Anche in questo caso, il granito in particolare appare come la scelta preferita, ma con un po' di cura ed attenzione anche il marmo più candido può essere usato in questo contesto. Contrariamente a quello che si potrebbe pensare, marmo e granito non sono materiali inerti, ma continuano a cambiare: per esempio, l'azione del tempo altera il loro aspetto ed il loro splendore. Per mantenere viva la bellezza iniziale, seguite semplicemente i semplici passi forniti di seguito. Sia per il marmo che per il granito, la lucidatura stessa protegge la superficie e quindi previene l'assorbimento di sostanze; invece, lavorazioni quali per esempio quella con disco abrasivo, tendono a favorire l'accumulo di sporcizia. Trattamenti oleo e idrorepellenti sono molto efficienti e dovrebbero essere ripetuti di tanto in tanto, in particolare per il marmo, che è un materiale poroso. Per la pulizia, utilizzare semplice acqua, nella quale poter diluire, se necessario , una piccola quantità di un detersivo delicato. il CONSIGLIO principale, valido per qualsiasi tipo di materiale, così come per il legno, è quello di non lasciare a diretto contatto con le superfici oggetti macchiati con sostanze oleose, acide o coloranti (olio, succo di limone, aceto, caffè, cola): IL TEMPISMO nella pulizia previene ogni tipo di inconveniente. I prodotti sintetici hanno una buona resistenza alle sostanze che possono macchiare; in quelli con una finitura lucida l'assorbimento è pressoché inesistente, tuttavia è sempre consigliabile pulire immediatamente le macchie di agenti acidi o basici ed evitare di posare su questi materiali oggetti caldi, che possono causare uno shock termico. La detrazione fiscale del 50% è stata confermata fino al 31.12.2015: essa non dà limitazioni al tipo di merce, ma comprende tutti i tipi di mobili, compresi quelli personalizzati resi e acquistati al fine di fornire la proprietà oggetto di ristrutturazione edilizia. Per ottenere i benefici fiscali, fornite semplicemente la documentazione sui costi sostenuti, come le fatture ed i bonifici bancari, come parte della dichiarazione dei redditi per l'anno di riferimento. La documentazione di pagamento deve includere la causale specifica, la partita IVA o il codice fiscale del destinatario ed il codice fiscale dell'ordinante. Per ricevere il bonus mobili, il pagamento deve essere effettuato tramite bonifico bancario o postale, carta di credito o debito (Bancomat). I pagamenti avvenuti in contanti o tramite assegno non vengono rimborsati. Le ricevute di pagamento dovranno contenere la causale del versamento, il codice fiscale della persona che beneficerà della detrazione ed il codice fiscale o la partita IVA banca del beneficiario. Se in possesso di pratica edilizia sarà possibile beneficiare di una detrazione fiscale del 50%. Nel caso in cui i davanzali siano combinati con un rivestimento per isolamento termico di spessore superiore ai 12 cm, i davanzali possono rientrare nella detrazione del 65%. Experience Years of translation experience: 11. Registered at ProZ.com: Apr 2015. 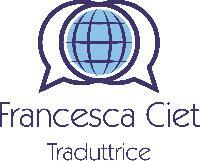 Professional practices Francesca Ciet endorses ProZ.com's Professional Guidelines (v1.2). I have a degree in foreign languages ​​and literature and I worked for five years as an English and German in a vocational school with areas of study related to food and beverage (courses for chef, barman and waiter) and wellness (courses for beautician and hairdresser). My experience of remote working as a secretary for different customers provided me with language skills in different fields (legal, technical), in addition to translation and editing of business correspondence. I am also experienced in translating texts related to the construction field and university textbooks (psychology textbooks).